For those of you who don’t know, The North Face is a brand that recently turned 50 years old. They produce all sorts of outdoor, tough and technical clothes and gear. 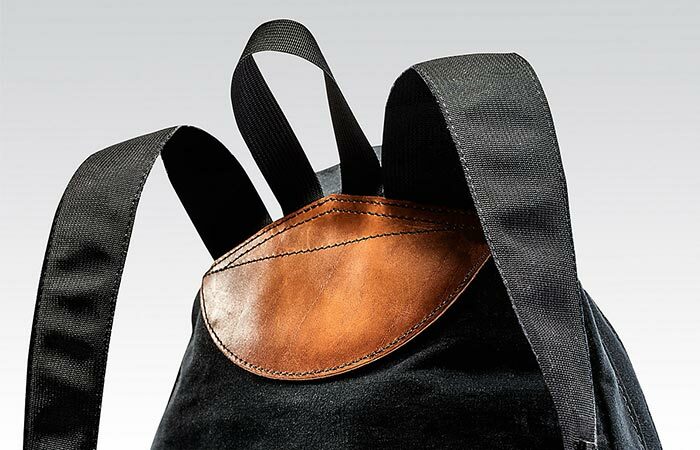 For this winter holiday season, they prepared a new bag collection that’s made in the USA. The collection features two duffel bags and a backpack, all available in two colors- black and vintage white. Let us start with the Original Day Pack. This 25L backpack is a limited edition of a pack first made in 1968 and it comes with a design of that era. The new North Face collection includes three travel bags- one backpack and two duffels. As for the materials, it’s made from waxed canvas and features a premium leather trim and nylon webbing. 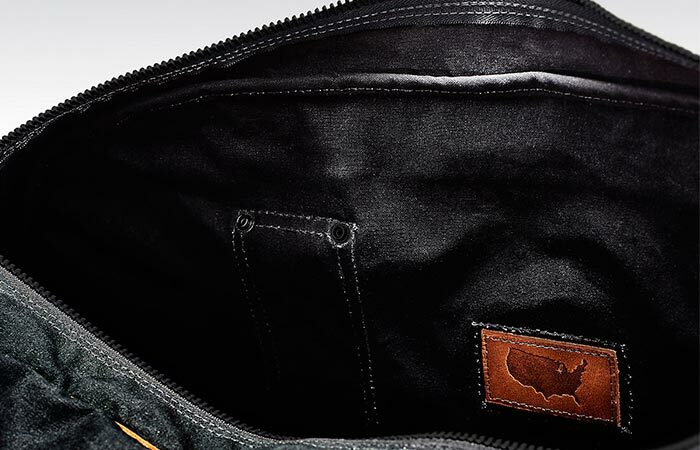 The front pocket allows you to store smaller items you need close at hand, especially when traveling. Also, double reinforced panels and riveted stress points make this backpack durable. Speaking of durability, it comes with a lifetime guarantee. Original Day Pack measures 19 x 14 x 6 inches. 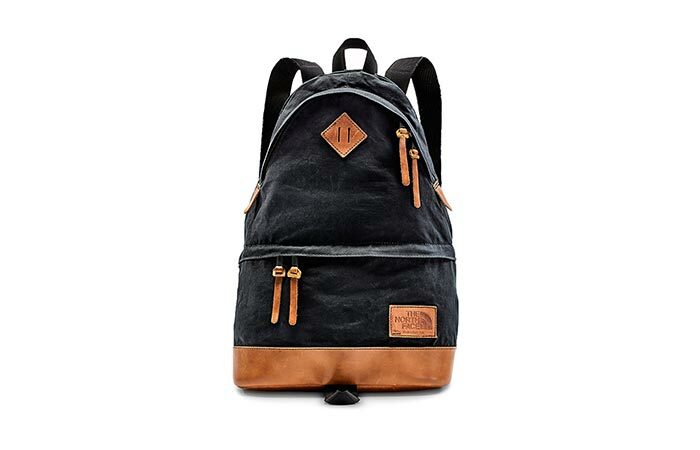 The backpack is made from tough 17oz waxed cotton canvas and has a capacity of 25L. Also in the collection is the Small 78 Basecamp Duffel. It was first introduced in 1978 and made in Chicago. The leather details are made by Horween Leather Co, which is one of the oldest tanneries in the USA. 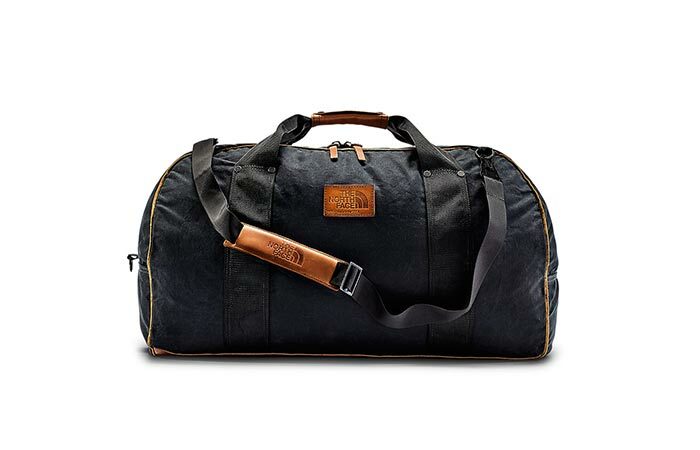 As for the construction, this 45L travel duffel has the same construction as the backpack- 17oz waxed cotton canvas. It measures 13 x 23 x 11.5 inches. The collection also includes a large 80L duffel and a small 45L duffel bag. Finally, the last item in the collection is the Large 78 Basecamp Duffel. It has a capacity of 80L and the dimensions of 17 x 26 x 13.5 inches. The only difference between the two duffel bags is the size and the fact that the larger one comes with a nylon shoulder strap, suitable for easy carriage. The larger duffel has a nylon shoulder strap.